Affordable Towing by Double T Towing | We Are Towing! Double T Towing & Recovery isn’t just what we do; it’s who we are! We’ve spent a lifetime amassing late-model store-bought techincally-engineered state-of-the art American-made equipment to work with the Transportation Industries. We can handle all your towing and recovery needs in Northwest Indiana and the Chicagoland Metro area. We are an authorized carrier to handle long distance tows in multiple states. We offer affordable towing. Heavy Duty Towing is our specialty at Double T; we have a 75 ton Rotator/wheel-lift and four heavy duty wreckers/wheel-lifts to handle all types of towing situations. 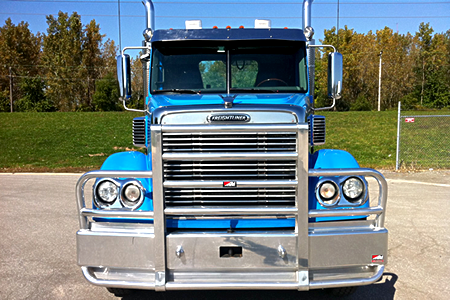 If you have a truck, tractor, or tractor/trailer we’ve got you covered. Double T has just the right mix of equipment to handle any situation that may come up–if not we’ll steer you in the right direction. Unfortunately, Machines do fail! If you can’t move it yourself, give us a call–we’ll be happy to assist. 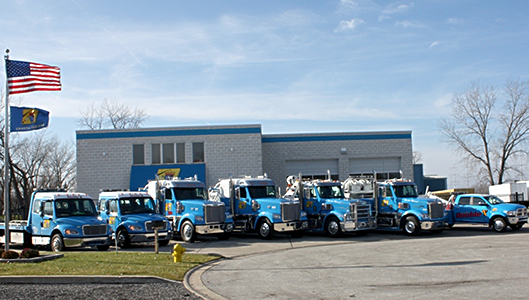 Double T tows to all Major Dealers and Engine Companies!